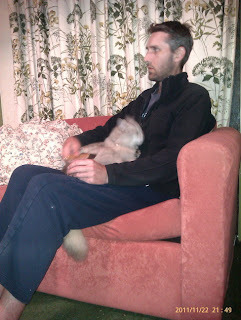 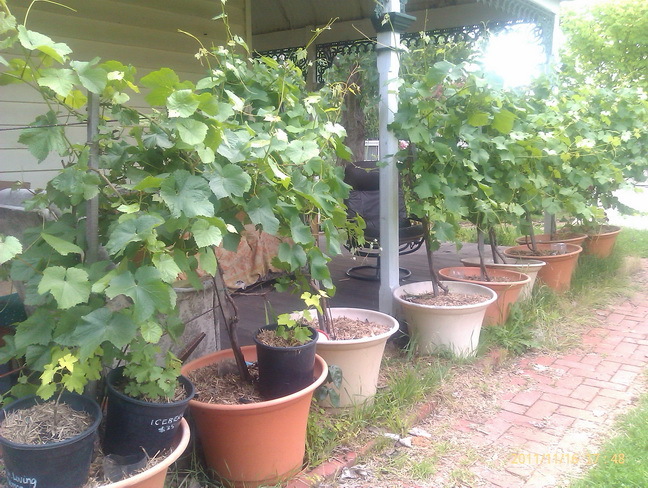 A catch up on some lucky lucky vines. 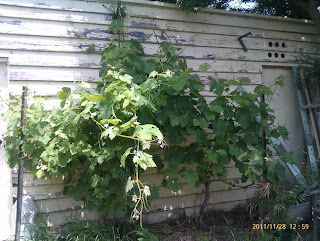 A walk around the vineyard tonight, and a vine I have nearly given up on has revived. 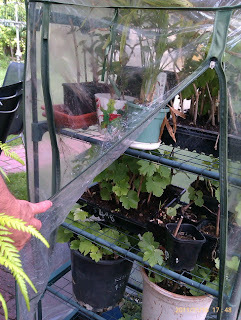 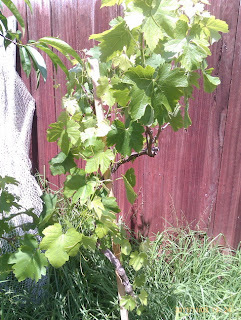 Depending on how the weather treats it, it may survive summer. 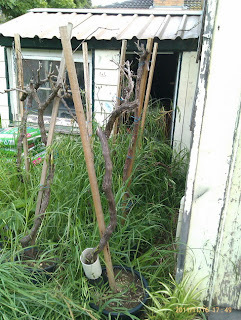 That makes five adoptees adapting to their new yard. 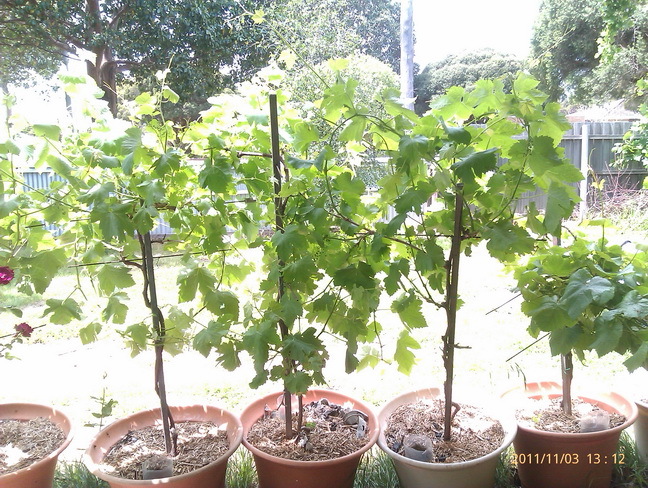 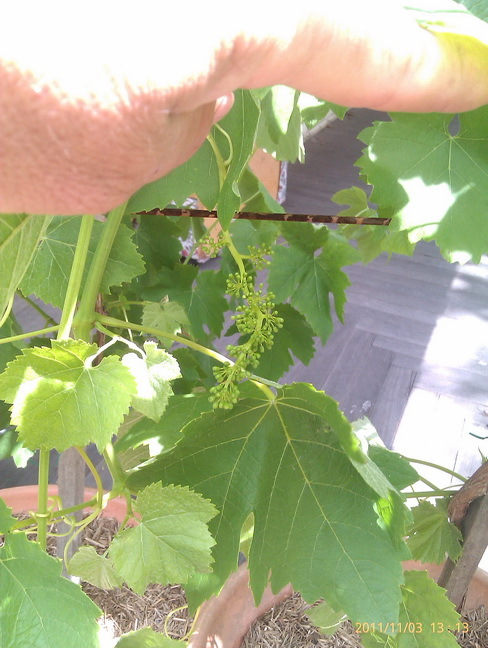 One has bountiful grapes-to-be, one is vigorous, and three maybe okay by next year. 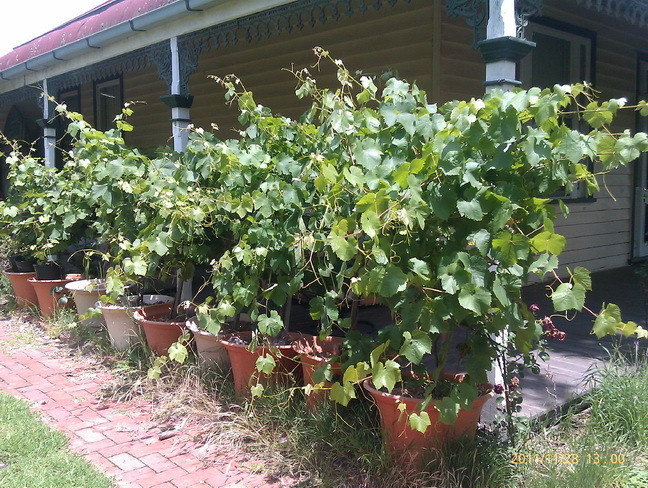 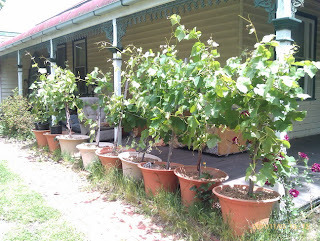 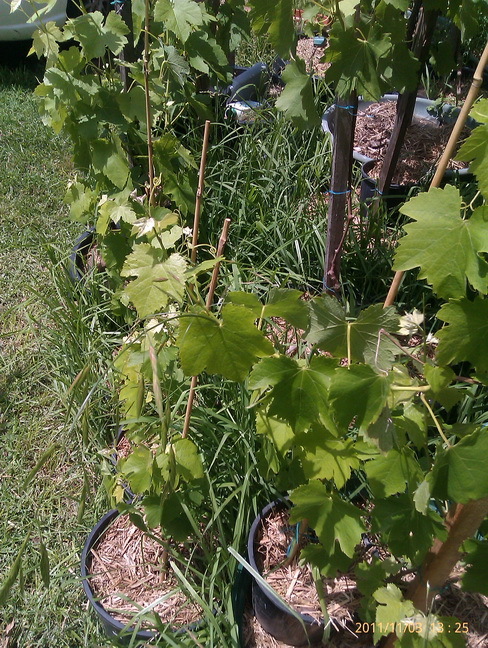 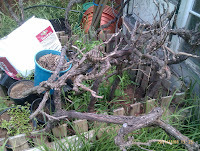 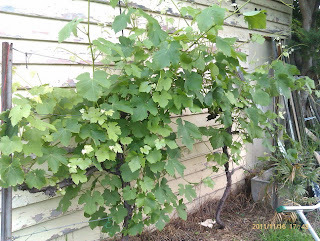 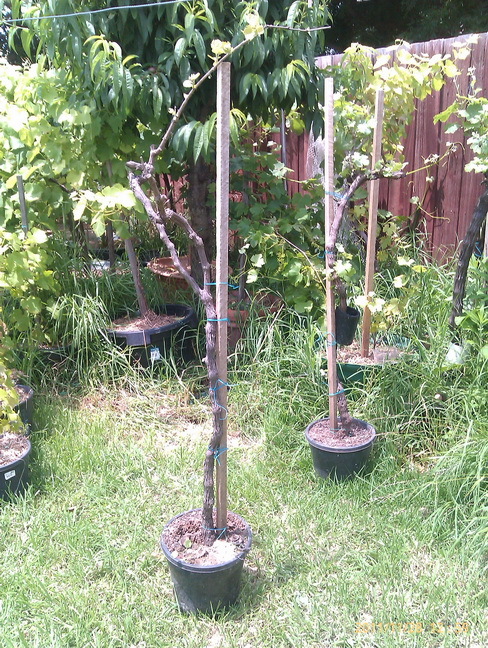 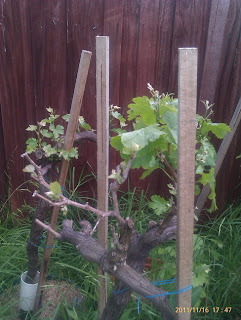 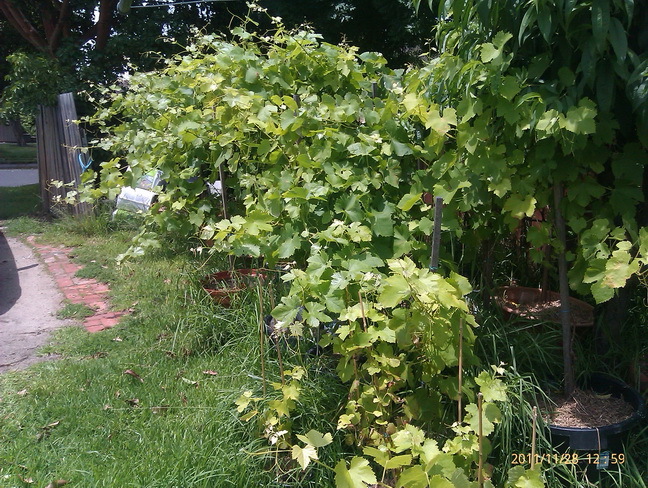 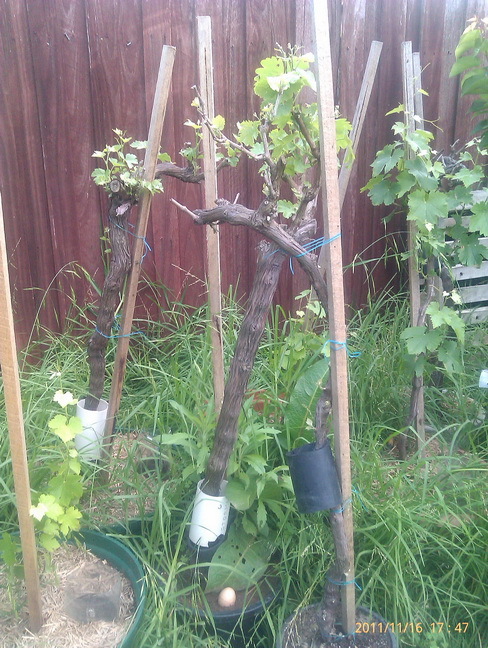 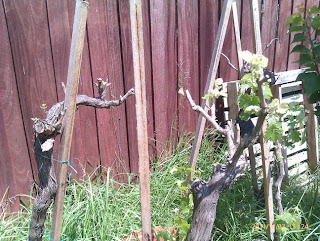 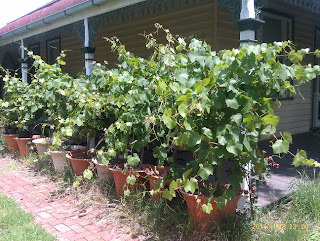 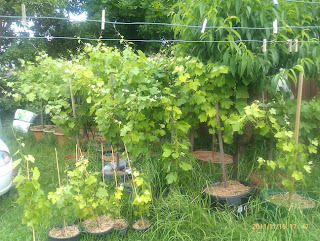 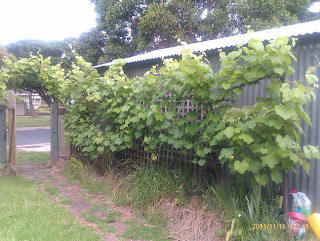 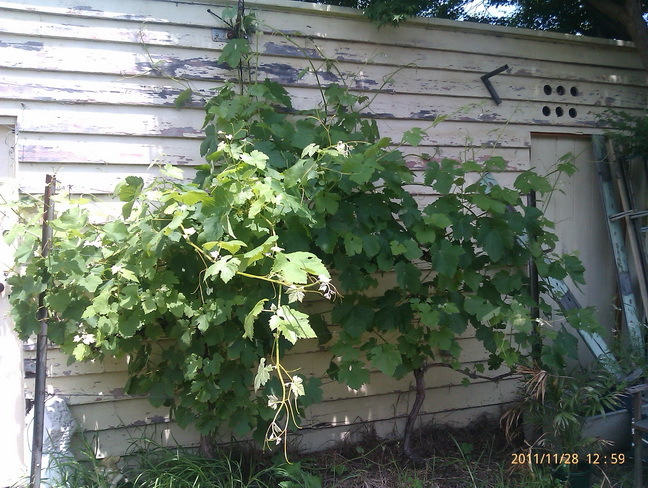 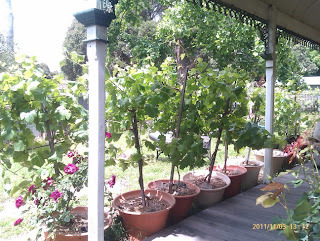 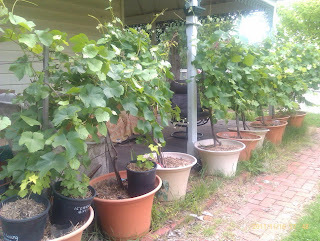 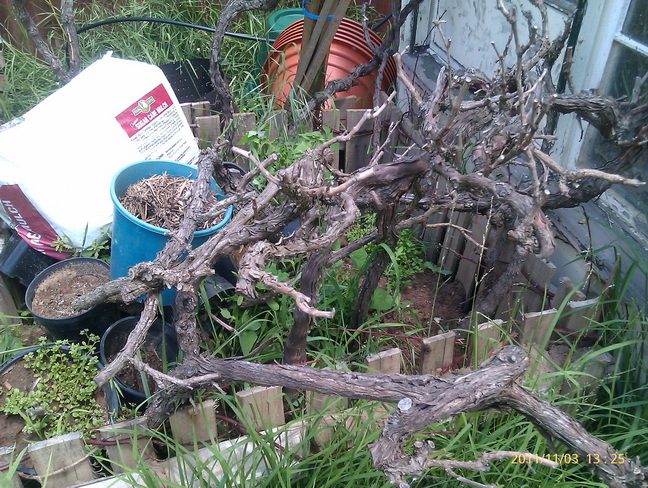 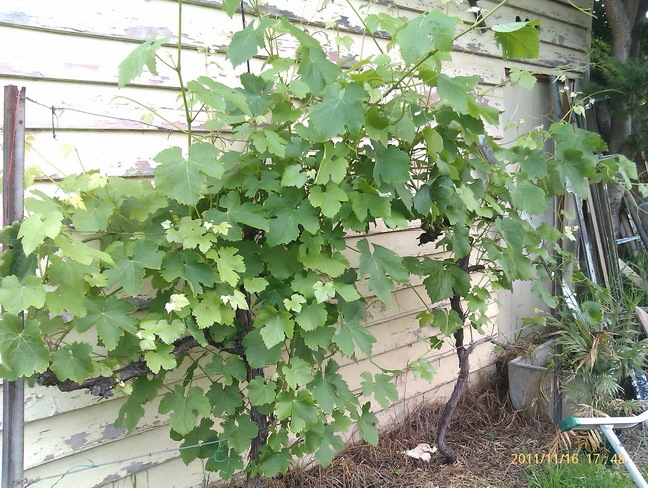 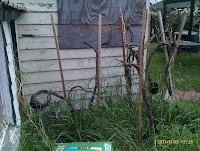 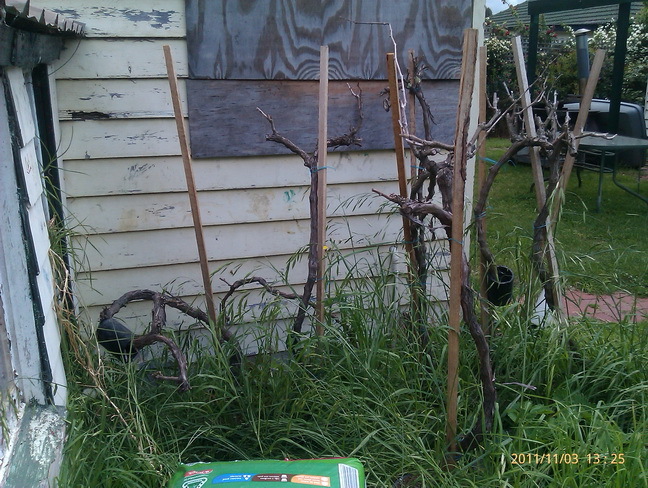 The rest of the Portable Vineyard is very vigorous- looking just great.